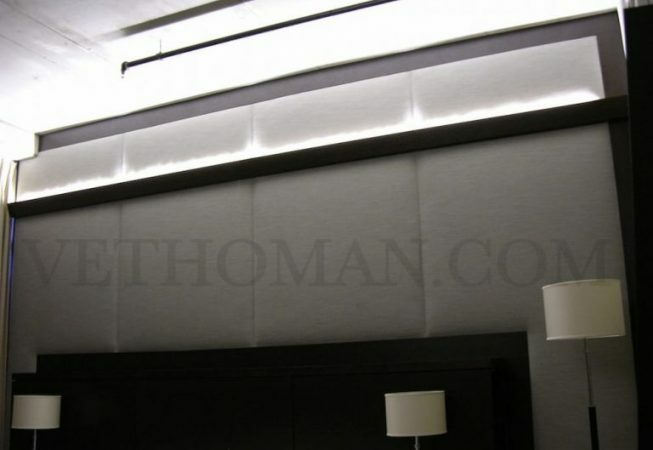 In this section, pictures show fabric panels. The system used is still the famous Clean Edge System™ track. When people talk about upholstered panels, they often think of panels wrapped with a cloth then hung on a wall. They call it wall art. Sometimes, there is acoustical material inside like fiberboard. However, it is not the case here. 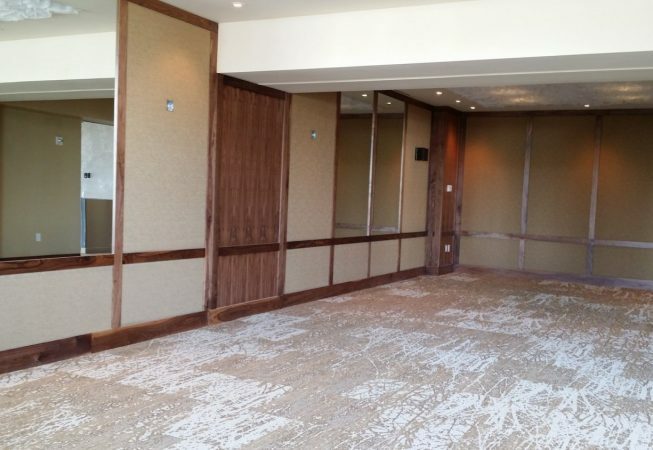 These images are fabric panels upholstered directly onto a wall into an existing wood frame. For example, a wood frame can be fancy making a statement. Or just divides a wall into small areas creating a particular style. Therefore, panels have various sizes or shapes. They could also have different depths. Now that you have seen a few examples of upholstered panels. You can look at a video explaining how to install this product; fabric wall system. You will see a basic rectangular shape panel. 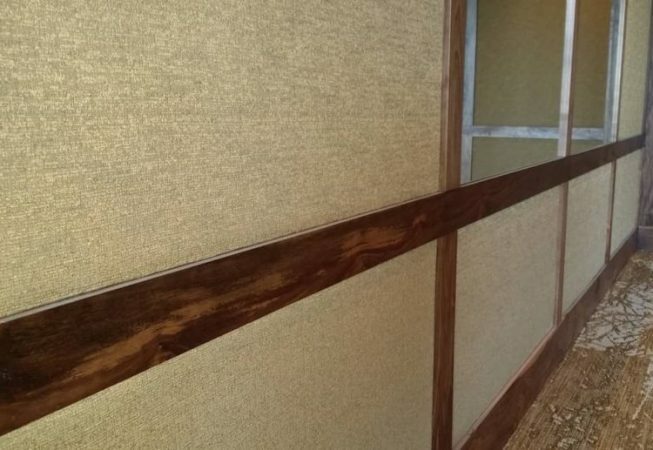 Try using CES tracks in wall panels. You will have fun installing our clean edge system™. To read more on the products used in the video, visit the page Wall upholstery supplies. All items are found in the shop. A note regarding panels with unusual shapes. Yes, it is possible using the Clean Edge System™ track when a frame is straight with curved movement. Check out these photos. It is a ceiling with large bent moldings. The Facebook link is in the next line. To conclude, CES track fits in all sorts of shaped panels. For any issue with your panels, please call us with your questions. If you have already experienced Clean Edge System™ track, why don’t you tell us about it? The comment box is just below. Otherwise, send us a message by email. Thank you for sharing your thoughts on Facebook too!